The long-awaited revision to Annex 1 is now closed for public consultation. Nearly three years after the initial announcement, and more than a decade since the previous revision was published, it is reasonable to suggest that an update is due. 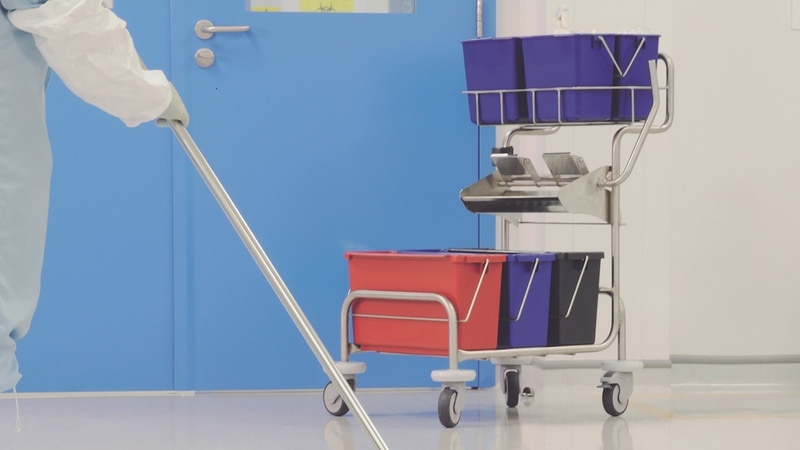 This article focuses on a few critical areas understood to significantly affect the use of disinfectants within the sterile manufacturing areas once implemented. As a holistic, risk-based approach to contamination control is fundamental to the Annex 1, this is an important aspect for consideration when reviewing the proposed updates. 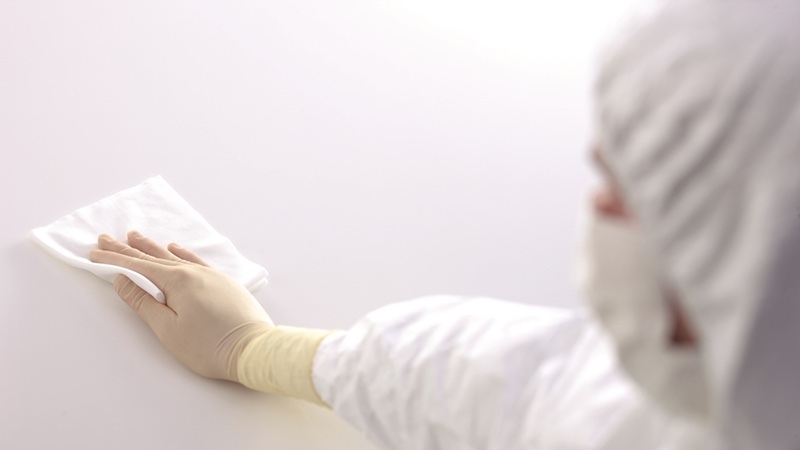 It has long been widely accepted that cleaning and disinfection are two distinct processes within the cleanroom. The segregation of these two processes is, for the first time, reinforced in the Annex 1. The objective of cleaning is to remove physical soiling, which could present a contamination risk. It is usually achieved via systems such as vacuums, detergent cleans, wet-cleans with WFI, IPA, or dry-cleans with wipes and mops. Disinfection, on the other hand, is designed to kill microorganisms. Disinfectants can be divided into distinct groups, generally termed sporicidal and broad-spectrum disinfectants with various chemistries having different effects against each organism. The disinfection section, a key area of the Annex 1, has replaced the previous santisation section and is now further expanded. The requirement for rotation of disinfectants is further clarified, with the statement that more than one type of product should be employed including the periodic use of a sporicidal agent. This leads to the conclusion that one sporicide and a broad-spectrum disinfectant is sufficient for cleanroom contamination control. As part of the validation requirements for disinfectants, there is an increased emphasis on contact times, surface and manner in which products are applied; these will be key areas for qualification, validation studies and reviews of validation data held moving forwards. It also places a requirement to ensure that efficacy is demonstrated throughout the in-use shelf life. The data sets required to support the product in the final format will be more detailed. The Annex revision continues to reference the development of microbial resistance. However, the development of acquired rather than innate resistance is still unproven at in-use concentrations. The requirement for disinfectants to be effective against the flora is a logical approach. For example, bacterial spores will not be killed by alcohols and therefore a sporicidal agent is required for efficacy against bacterial endospores. Many original statements remain in the new Annex. For example, when monitoring disinfectants and detergents for microbial growth, the product must be sterile when used in a Grade A and B environments; dilutions should be stored in previously cleaned containers; only stored for defined periods, etc. The revision has removed the exception for sterile, demonstrating the need for a holistic approach across the processes to show the effect on facilities, equipment and operations. 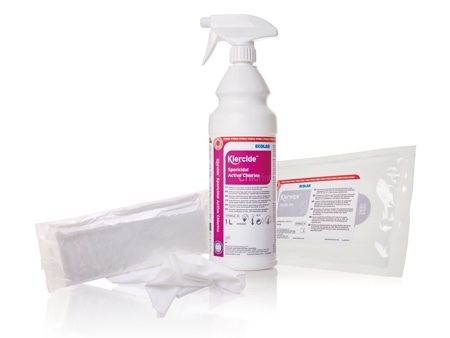 A key aspect of cleaning and disinfection is the in-practice demonstration of efficacy via environmental monitoring (EM): this should include monitoring pre- and post-disinfection. The Annex further specifies that microbes within Grade A and B environments should be identified to species level, and the impact of this identification on the state of control should be assessed. This makes it easier to ensure the correct product(s) is(are) being used and identify which corrective action should be followed. A written plan should be in place for action to be taken if EM is out of trend or action limits are reached. This will undoubtedly include remedial action as part of the Corrective Action/Preventive Action (CAPA), which will likely require the introduction of a sporicide as an action point usage product. 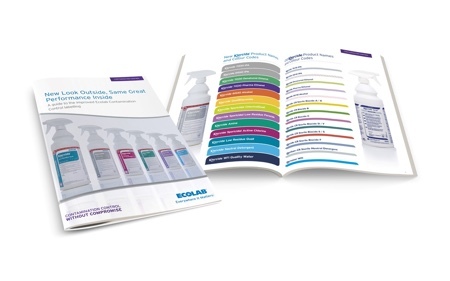 At Ecolab, we have seen an increased concern over residues left post application from disinfectants. The visual aspect of residues has always been of concern and there are records of pharmaceutical companies being cited for the presence of residues in the cleanroom. As another critical topic in review, the Annex now calls out the need to control these residues as well as raising concerns over the potential latent effect of residues as highlighted in section 6.5 A and B, which references residues potentially creating a barrier and/or posing a particulate risk to the product being manufactured. 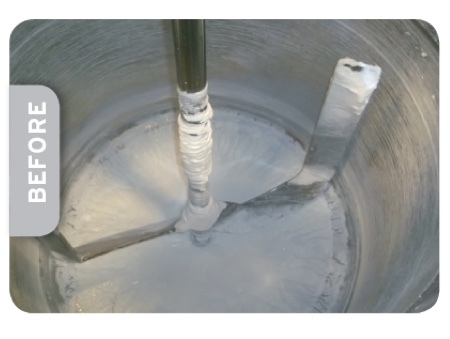 Validation of the cleaning processes should prove that they can remove any residues that would otherwise create a barrier between the sterilising agent and the equipment surfaces. Here, the word "sterilising" has been challenged in the consultation for customer review as incorrect. The changes also highlight that residue removal should occur to prevent chemical and particulate contamination of the product during the process, all of which also links in with the requirement for cleaning stages. There is a new specific statement on cleaning programmes that should be effective at removing disinfectant residues. It ties in with low residue requirements and clearly states that it is no longer the accepted practice to allow residues to build up uncontrolled on surfaces. It is a necessity that products used for decontamination of RABs/Isolators demonstrate they have no impact on manufactured product sterility testing, so residual impact must be assessed. 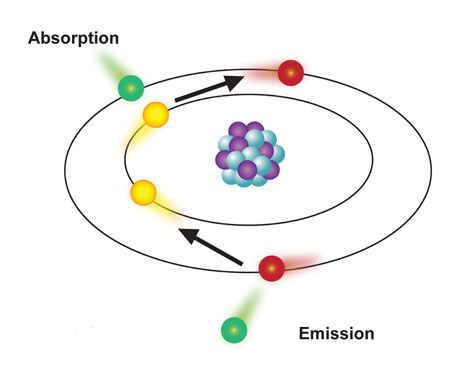 The effect on product manufactured and product contact surfaces should be considered. There are significant enhancements to expectations for visual inspection, which fits with a focus on residues and reflects a clear industry trend towards the need to remove residues to protect product quality. 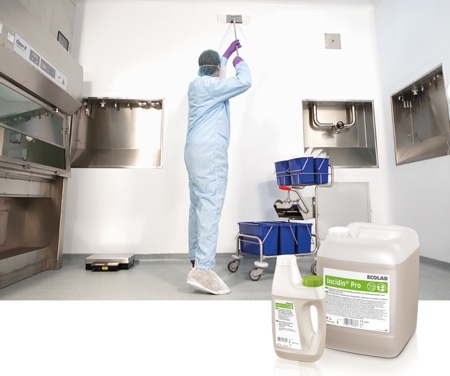 When preparing disinfectants on-site from concentrates, the following will need to be considered: the increased requirements around filtration, including minimising the number of connections; cleaning; in-place integrity testing, ensuring a SAL 10-6 (sterility assurance level of 1 in a million); validation including parameters such as flow rate, minimum and maximum time in contact with the fluid; validation pre and post use; pressures in use and bacterial retention testing; liquid sterilising filters should be discarded after processing of a single lot (unless validated). There is also a requirement to link bioburden limits to filter efficiency, which if interpreted literally, could leave levels that are very high and make monitoring difficult. Additionally, if those who are making up disinfectants from concentrate are using water from their own system, they may also need to consider the requirement in the Annex that a sample is taken from the worst-case location of a processes water system each time the system is used for manufacturing. This could be considered problematic, placing a considerable burden on the operators and their resources. This may well be revised in the final version of the Annex. The concept of risk management (QRM) is embedded in the new document like never before. Now, specific emphasis is on using the principles of QRM to support decisions made within the revision. The document also considers a few key points that will continue to raise questions within the industry. Notably, a clear expectation for a formal, holistic contamination control strategy. The hope is on a dossier that reflects the site-wide strategy for minimising contamination to sterile manufacturing. And, specific sections on how cleaning and disinfection will influence and contribute to equipment and facilities, personnel, vendor approval/outsourced services, and most importantly from a contamination control perspective, a specific section on cleaning and disinfection. Additional requirements for cleanroom classification (beyond ISO needs) in critical areas has been raised, hence consideration must be given as to how to maintain these. There is an increased focus on water, biofilm control and filtration, all of which affect disinfection dilution, rinsing and CIP processes. The expectations around staff include a requirement for setting minimum and maximum (validated) number of personnel in a cleanroom and meeting regular training needs including qualification and assessment. 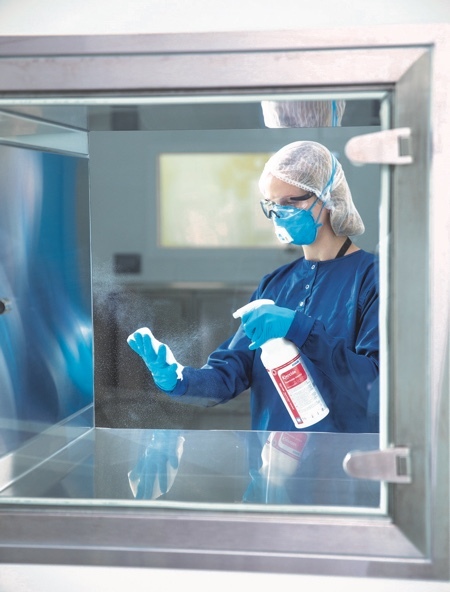 There are new requirements for material transfer and transfer disinfection, including a pre-qualified list of items, products and processes that are used to transfer these between different areas within the cleanroom. It also suggests that items for transfer excluded from the list of pre-qualified items should be included in a specific sanitisation and monitoring regime. This will provide transparency on disinfectant product performance against in-house flora and practical use. Transfer of items from controlled not classified areas (CNC) to Grade C should be commensurate with the risk as per QRM, which may well support the use of a sporicidal agent depending on the level and type of incoming bioburden. This recognises the need to understand and control the risk, especially in the early stages of production processes. Pre-packaged items should be transferred in via a validated method (e.g. disinfection of the exterior packaging) in a way that reduces the risk of contamination to an acceptable level. This may well mean there will be a risk based on the trade-offs of chemistry versus activity, material compatibility and residues required. A single-layer can be removed from multi-layered items at each interface, meaning that the benefits of multi-layered items can be seen in practice. 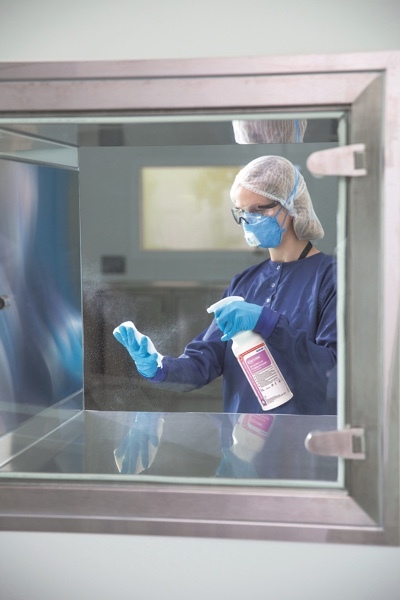 Any non-packaged items should be transfer disinfected using a validated process, stored as to prevent re-contamination and included as part of EM, all increasing the requirement for chemistry to be validated for the transfer disinfection process. As part of the initial design of restricted access barrier systems (RABS) and isolators, one of the key factors highlighted is the disinfection and sterilisation regime, which means a requirement is present for material compatibility studies on all chemistries in use with these systems. Single-use technologies is a new section, but some concerns have been raised that may require further investigation concerning the trade-off from traditional cleaning-in-place and the movement to single-use technology. These considerations include particulate contamination, performance and integrity of filters, pinhole leakage, leachable, absorption, extractables, fragility, and design. The revised or new Annex 1 is, as promised, a comprehensive re-examination of the previous version, with a focus on the application of QRM and pharmaceutical quality system to sterile manufacture. There is some excellent new information on a wide range of technologies not adequately covered before; several ambiguities and inaccuracies from the 2007 version have been addressed. Public consultation is now closed for comment, but as with all new publications - especially drafts - there are some points of contention. Regardless, the new Annex 1 is expected to deliver changes that will affect cleaning and disinfection and the requirements around it for all involved in the pharmaceutical industry. N.B. This article is featured in the October issue of Cleanroom Technology, following its first publication in the September issue of the Parenteral Drug Association’s membership magazine, in print and online.